The Mirage™ Kidsta Nasal Mask is based on the revolutionary range of adult Mirage™ designs. The Mirage™ Kidsta Nasal Mask is based on the revolutionary range of adult Mirage™ designs. It combines a number of proven, practical and popular benefits with some child-friendly modifications. 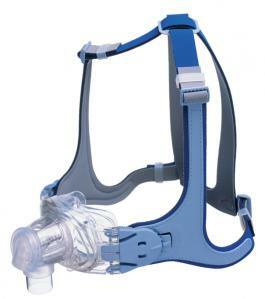 This ResMed mask is designed specifically for children who need continuous positive airway pressure (CPAP) or Bilevel therapy. ResMed's Kidsta Nasal Mask with the proven and trusted Mirage™ dual-wall cushion technology is a premium mask that combines comfort and performance in an unobtrusive design.